Bluetooth is the leading and most widespread protocol for short-range communications.It is the backbone of short range connectivity in the vast majority of devices in the market. This attack spreads through the air and attacks Bluetooth devices. 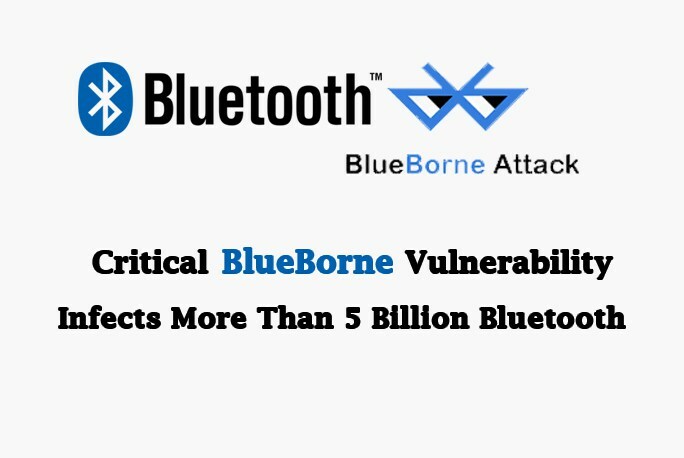 All the Bluetooth devices mobile, desktop, and IoT operating systems, including Android, iOS, Windows, and Linux are vulnerable. This attack leads attackers to gain complete control over your device and from your device they can migrate to corporate networks and even to most secured Air-gapped computers. Security Experts from Armis Labs has identified eight vulnerabilities which can be the part of the attack vector and they published a Whitepaper. The worst part of the attacks is that user not required to set in discoverable mode or to be paired with attackers device and later not required to Authorize the connection. Armis said Previous works focused on finding potential issues in the Bluetooth specification itself, showing the weakness of the encryption key exchange procedures in Bluetooth versions. But these new vulnerabilities are at the execution level, bypassing the various authentication mechanisms, and empowering a total takeover of the target device. Unlike Android and Windows, iOS does not allow silent authentication to take place via “Just Works” – once an attacker attempts authentication through “Just Works”, the user of the targeted device is informed that a device has initiated pairing with it, and only if the user authorizes the pairing the authentication will succeed. All Android phones, tablets, and wearables of all versions are affected and no security patches yet released for Android versions. Windows versions still Windows Vista are affected and for Windows phones, Microsoft released a Security patch today. All the devices with iPhone and iPad devices less than version iOS 9.3.5 are affected and the issue fixed with iOS 10.And AppleTV with version 7.2.2 and lower are affected. Disable Bluetooth as soon as you complete the process, turn it on only when it is required. Now Android users can check their devices and device around them for vulnerability with the app BlueBorne Detector.